Pioneers in the industry, we offer industrial nitrile gloves, laboratory nitrile gloves, industrial general purpose gloves, cut resistant gloves, industrial chemical resistant gloves and general purpose coverall from India. Our new KLEENGUARD* G10 Arctic Blue Nitrile gloves are more comfortable and economical than standard nitrile gloves, yet retain the protective properties required for excellent performance across a wide range of industrial applications. 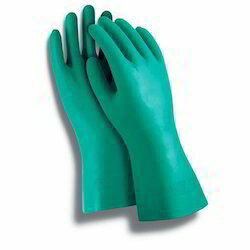 They are the ideal replacement for latex gloves, providing the protection of nitrile at an everyday price. Make safety and productivity priorities by choosing Personal Protective Equipment (PPE) that allows for comfort and freedom of movement.Minimise risk and help boost productivity with our wide range of Gloves. These ambidextrous examination Nitrile General Purpose Gloves have textured fingertips for better grip. JACKSON SAFETY* G40 Latex Coated Gloves provide excellent durability in the industrial workplace. An excellent value, they offer good grip, as well as great comfort and dexterity. 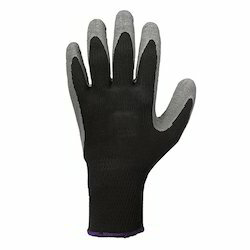 JACKSON SAFETY* G60 PURPLE NITRILE* Cut Resistant Gloves provide an even higher level of cut resistance while enhancing dexterity and comfort. 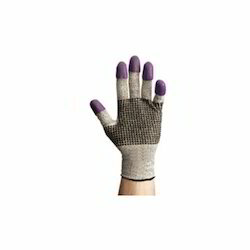 The gloves are ambidextrous, breathable, and feature a flexible nitrile dotted palm for better grip. 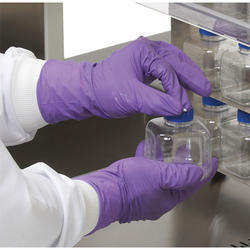 JACKSON SAFETY* G80 NITRILE* Chemical Resistant Gloves provide protection against acids, caustics, bases, solvents, and other aqueous solutions. The product, quality, and packaging improvements provide enhanced chemical resistance, improved durability, and comfort, as well as environmentally improved packaging. We are one of the leading wholesaler trader and suppliers of General Purpose Coverall. 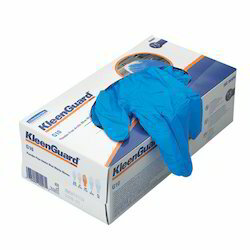 KLEENGUARD* A40 Protective Overalls offer ultra low-linting, anti-static and silicon-free protection and are generously cut for extra worker comfort. 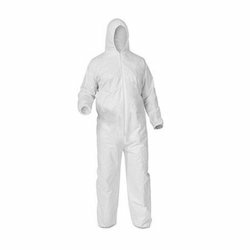 We are one of the leading wholesaler trader and suppliers of Chemical Protective Coverall. Whatever your environment - from cleanrooms to chemical plants we'll meet your needs with our comfortable and durable protective clothing. 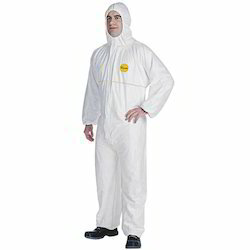 Protect against aqueous chemical and jet spray with the A70 Chemical Permeation & Liquid splash Protection Coverall. 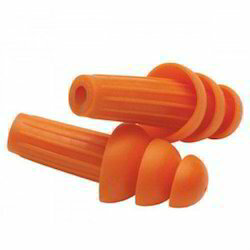 We are one of the leading wholesaler trader and suppliers of Reusable Ear Plugs. Our Reusable Ear Plugs come in a range of styles - all can be easily inserted and removed and are free from latex, silicone, and phthalates. 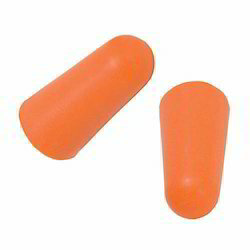 We are one of the leading wholesaler trader and suppliers of Disposable Ear Plugs. 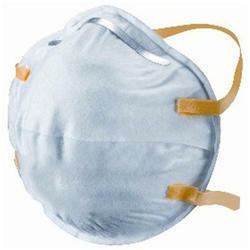 We are one of the leading wholesaler trader and suppliers of Disposable Respirators. 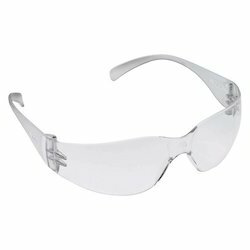 Looking for Kimberly Clark Personal Protective Equipment ?